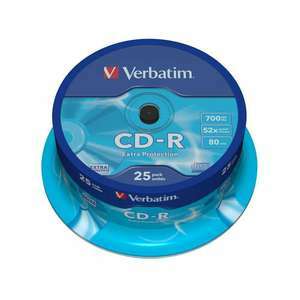 CD-R is a recordable disc providing 700MB or 80 minute capacity. 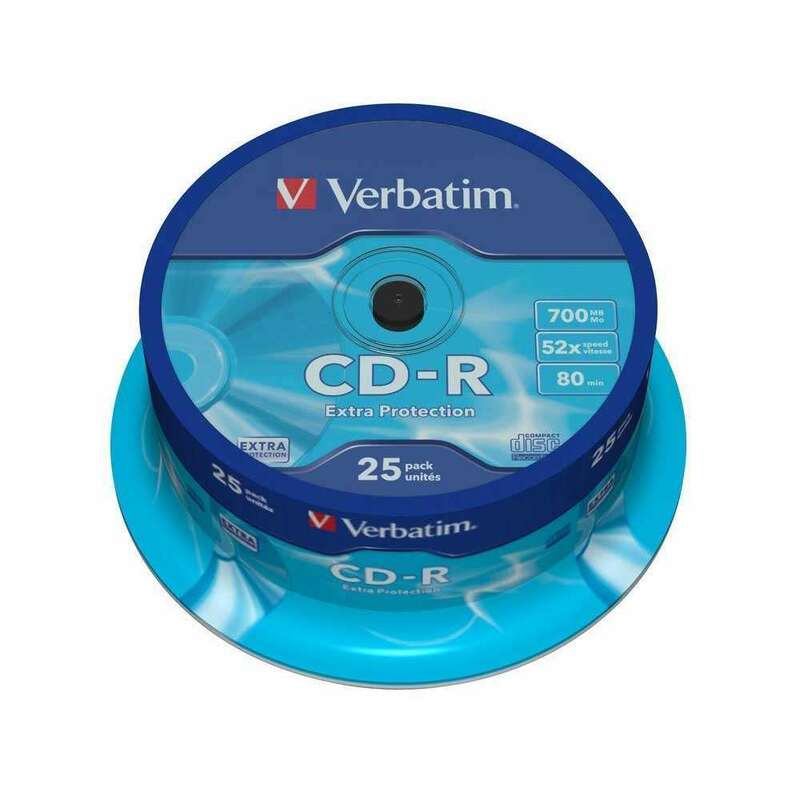 This spindle of 25 CD-R discs from Verbatim are compliant with Orange Book Part II Version 3 specifications. The 'mechanical specifications' of Verbatim media are very precise, and data written to it can be read in a wide range of drives. As a result, Verbatim discs demonstrate a high level of compatibility between drives running at a wide range of speeds. The Extra Protection surface is a white surface providing extra protection for the vulnerable label side. Can be written on with a CD/DVD marker pen.